I visited my mother today and my brother Karl and his wife Lani, with whom she lives. 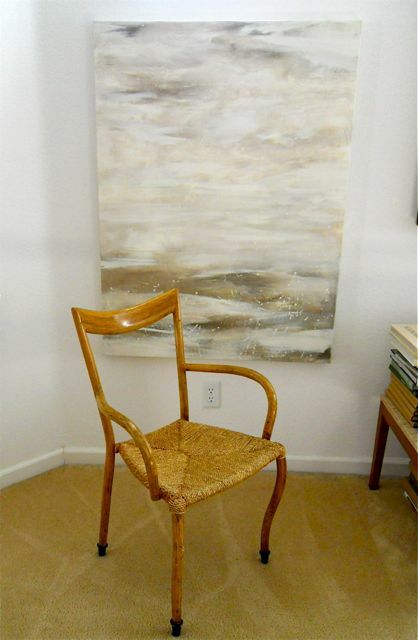 In their living room was a wonderful bent wood chair that Lani picked up at a garage sale. She cleaned it up and it is a beautiful solid piece with metal footings. Karl thinks it is oak. She did a painting that is perfect behind the chair. She used house paints that were left overs and painted with a house paint brush.